Carol Trewin was by all accounts a food writer who made a difference. She made a difference to the farmers, producers, chefs, rural businesses and communities she wrote about, because she wasn’t afraid to give an honest account. As Food Editor of West Country regional paper the Western Morning News, she was in a position to influence, criticise and champion. I find the trajectory of her career inspiring – this was a woman who produced BBC radio programmes Woman’s Hour, the Food Programme and On Your Farm. 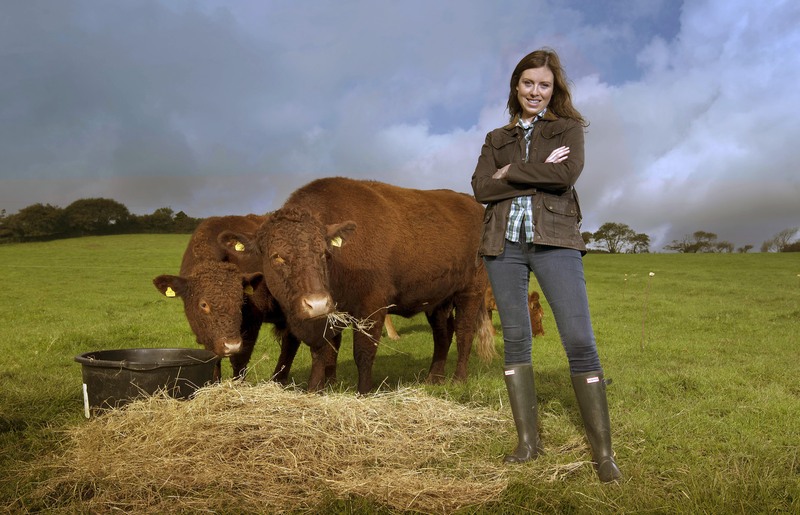 She had her own milk round in Yorkshire for a decade, she headed up BBC Radio 4’s Rural Affairs Department and helped run the Farming Today team that covered BSE. Carol died of leukemia in October 2009, the same year I qualified on my City journalism course. I wish we could have met. She ended her career in the West Country, where she’d covered the dark days of foot and mouth as Farming Editor for the Western Morning News. She’d also told many a positive story about the fantastic food coming out of the region. Last Saturday, thanks to The Carol Trewin Young Food Writers Award, I had my own opportunity to write something in the Western Morning News that I hope Carol would have been interested to read. I wrote about the sustainable role that one of our native breeds, the Red Ruby, can play in modern food production. It was inspired by my own native Red Ruby cow, Flirt, and the work of farmers, butchers and chefs who all care about what Carol called ‘good, clean, fair food’. It’s been a real highlight of my year. All images of me in this post are copyright photographer Emily Whitfield-Wicks. 12 Nov	This entry was published on November 12, 2013 at 9:38 pm. It’s filed under Awards, Farming and tagged Carol Trewin, Cornwall, devon cattle, Farming, food award, red rubies, Rural Affairs Department, Western Morning News. Bookmark the permalink. Follow any comments here with the RSS feed for this post. A good, clean fair article. Thank you. Wow, the Red Ruby article in the Western Morning News is absolutely excellent. These are concepts and beliefs I am familiar with, but to put it down in words so lucidly and precisely is really outstanding. Thank you.